The full view of parcels and property taxes within Conservatory-Central Park (Green Line) station are for Cityscape Pro and Cityscape Permits members only. 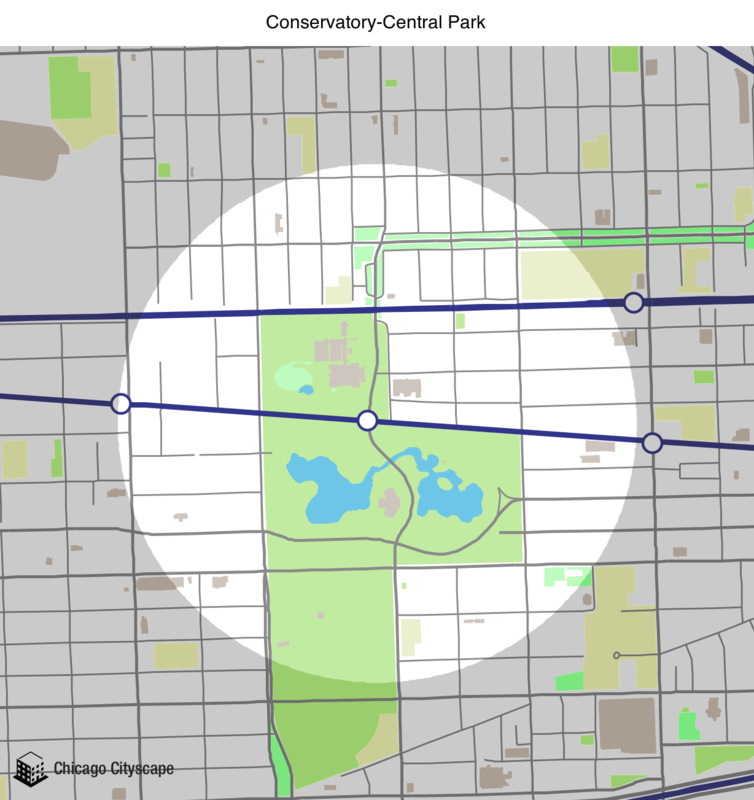 You're free to use our static map of Conservatory-Central Park (Green Line) station, but please attribute Chicago Cityscape and link to this page. The search area of Conservatory-Central Park (Green Line) station is 0.0488 square miles. Want to know what you're allowed to build near the Conservatory-Central Park? Order a Zoning Report instantly from MAP Strategies. Show a map of all the Places that overlap Conservatory-Central Park (Green Line) station, including ZIP codes, Census tracts, legislative districts, and TIF districts (this may take awhile if Conservatory-Central Park (Green Line) station has a large area).